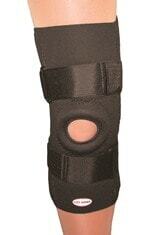 Soccer braces can help prevent injuries or pain while playing soccer. Sports like soccer involve a lot of running which puts the body at risk for injury. 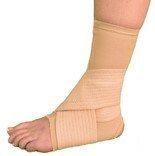 Injuries to the knee and ankles, such as ligament tears and ankle sprains, are quite common. These injuries occur often due to running on uneven surfaces, colliding with other players, falling frequently, or making sharp cuts and turns. 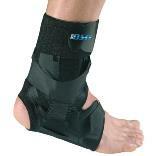 Depending on your position on the field, you may also have higher risk of injury. A goalie will have a higher chance of hurting the wrist, hand, arm or elbow whereas a fullback, forward or striker will have a higher risk of leg injuries. Overuse injury is common and injuries to other parts of the body can also occur during soccer, from the elbow, back, head, wrist and shoulders. Wearing soccer braces can help prevent these injuries and protect the joint while providing compression and warmth to keep the muscles and ligaments limber throughout the match. 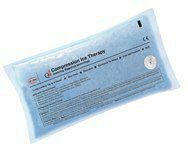 Buy Direct from US Manufacturer Our non-toxic cryotherapy 6 inch bags are microwavable for your heat therapy and remain pliable when frozen. This pliability allows the ezy Gel bag to conform to your Read more..
Buy Direct from US Manufacturer Speeds Recovery. 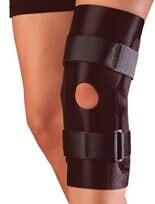 Reduces Pain and Swelling. 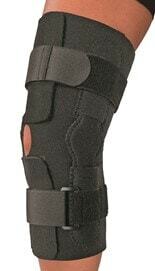 Simplified CryotherapyVariable compression knee splint with removable FirstICE cold therapy bags, fixed air bag, and breat Read more..
Buy Direct from US Manufacturer Superb features and quality fit and function are the hallmarks of this knee support. 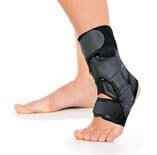 Our Lycra covered, nylon lined neoprene features medial/lateral stays and 2 inch Read more..
Buy Direct from US Manufacturer Q4 FirstIce Cryotherapy Bag 6" x 12" For the relief of pain following surgery. 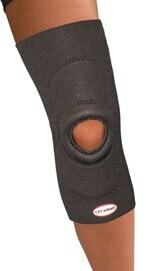 Benefical during rehabilitation. 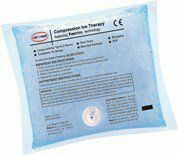 Buy Direct from US Manufacturer Q4 FirstIce Cryotherapy Bag 6" x 7" For the relief of pain following surgery. Benefical during rehabilitation. 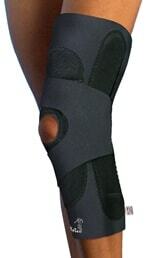 Prevent soccer injuries with our soccer braces and supports for the ankle, knee, back, elbow, shoulder, and more!